As a kid, I devoured Star Trek: The Next Generation, and though it now appears nearly as campy as the original series did back then, I still love it. But Star Trek led me astray. I thought exploration for the sake of exploration would get us to the stars. Now, I’m not so sure. Fifty years in, and we humans are still stuck in low-Earth orbit. 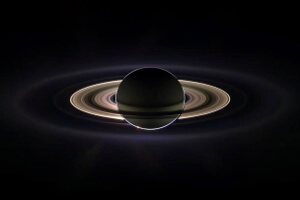 Robotic explorers, like NASA’s Cassini probe, have returned many jaw-dropping images (like this one of Saturn). I wonder if exploration doesn’t need two phases to succeed. First comes a smattering of fiery idealists blazing trails and climbing peaks. The risks are high and the returns are individual fame, newly detailed maps, and a general sense of awe. In space, human and robotic explorers have been steadily filling in the blank spots on our maps and providing an abundance of inspiration over the last few decades. But we can’t build a spacefaring civilization on inspiration alone. Next come the pragmatists. These are settlers on the frontier, miners in the mountains. They push the boundaries for tangible reasons. Freedom, land, resources. They’re more anonymous than heroic and their colorful pragmatism is deemed ignoble by some. We need both idealists and pragmatists in space exploration. But right now we need the latter more than the former. I think that perhaps as a species, we humans will only “go where no one has gone before” when there is a concrete reason to go there. And here’s the exciting bit. Some believe we may be on the verge of having one. Last week, Richard Corfield wrote that the Moon is again beckoning. But not to plant flags, take selfies, or record epic lines for posterity—no, this time, private companies and space agencies have their sights set both lower and higher. They want to mine the Moon. A NASA/JPL false-color mosaic of the Moon shows varying mineral content over its surface. To those of us here on Earth, the Moon hangs in the sky like a chill, grey wasteland. A ghostly desert devoid of resources. But looks are deceiving. In fact, the Moon is packed with many of the raw materials found on Earth, some in greater abundance. But why go all the way to the moon for something that can be found here already? Some would go to mine the “rare” stuff and bring it back. In the science fiction film, Moon, for example, the main character is mining helium-3, an isotope rarely found on Earth but which may be a candidate for a clean form of fusion energy. 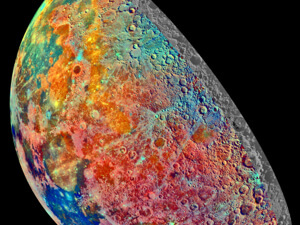 According to Corfield, China’s space agency might mine helium-3 and sift lunar regolith for the rare-earth elements critical to modern electronics. But neither of these is a particularly good reason to mine the Moon. At least not right away. We have yet to invent an economical fusion reactor to feed helium-3, and rare-earth elements, despite their misleading name, aren’t actually all that rare on Earth. We’re more likely to reopen a few mines here before going to the Moon for them. Ironically, the most compelling reason to go to the Moon is to mine something Earth already has in abundance: water. The Moon, as it turns out, isn’t entirely a desert. 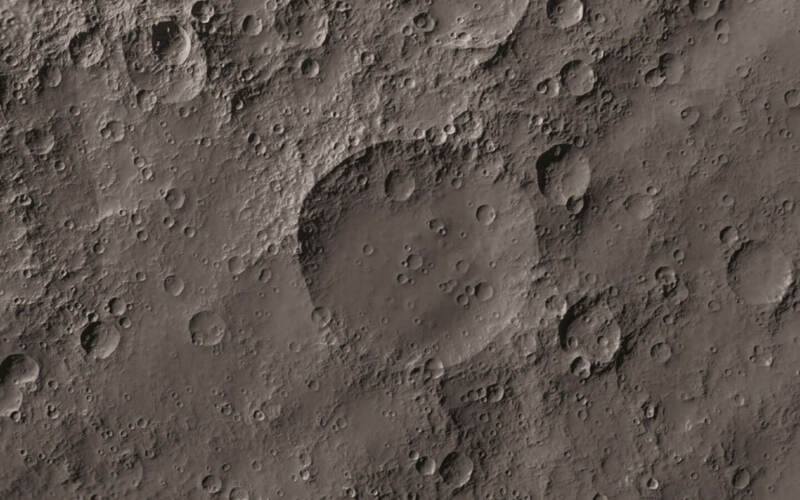 In 2009, NASA intentionally crashed a space probe dubbed LCROSS (Lunar Crater Observation and Sensing Satellite) into a crater in the south pole. A probe following behind found water in the material kicked up by LCROSS. And subsequent observations have even begun to map the Moon’s water. It’s now thought there’s somewhere in the neighborhood of a billion tonnes of ice at the Moon’s south pole and another 600 million tonnes at the north pole. And one private firm, Shackleton Energy Company, says it aims to mine lunar water. Why? To stock low-Earth orbit gas stations with Moon-made rocket fuel. Because of Earth’s gravity, it’s very expensive to drag fuel into orbit. At one-sixth the gravity of Earth, it’s much more economical to bring fuel up from the lunar surface. 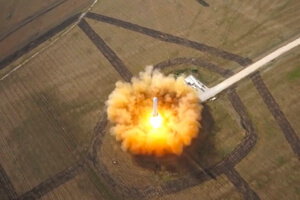 The firm says it would send water or ice to orbital depots in low-Earth orbit and once there, through electrolysis, convert it to liquid oxygen and liquid hydrogen on demand. “If you run the numbers it comes out as a 20-fold improvement on the ability to launch something from the Moon compared to from the Earth into low-Earth orbit,” according to Shackleton CEO Dale Tietz. That’s a big deal. But how realistic is Moon mining? Together with a few other key developments, it’s perhaps more likely than it seems—and could happen sooner than we realize. Sending human miners would be dangerous and expensive, but robots are getting cheaper and more autonomous. Though our best robots currently do little more than trundle around Mars snapping photos and running limited experiments, there is reason to believe they’ll be capable of far more in the near future. SpaceX is testing technology to enable reusable rockets. Of course, launching anything to space is still incredibly expensive, and a mining operation would require big equipment. But if Elon Musk and SpaceX prove they can reuse rockets—as they are trying to do now—the cost to launch hardware into space will plummet, making a Moon mining operation less far fetched. Further, the two efforts together, if successful, could provide a powerful catalyst for a new age of space exploration. Simply put: We’d have reduced the cost to launch from Earth, then powered by a ring of cheap lunar rocket fuel depots in orbit, we’d have reduced the cost to maneuver in orbit or go into deep space. The two together would bring more players into the game—and with more players, more dollars and more innovation. Add mining outfits on near-Earth asteroids (e.g., Planetary Resources), and you start to see a space-based energy supply chain stretching out into the inner solar system. It’s an exciting vision made more concrete by the existence of companies and governments investing time, money, and talent in it. Even so, it’s no sure thing. There are also yet all manner of unknown variables at play. Challenges include designing mostly autonomous robots that can mine an unfamiliar substance in one-sixth Earth’s gravity—and either repair themselves or not break down every few days or weeks. (Or we’d need to complicate the equation by adding humans.) Other significant items to be worked out include lunar ownership and development rights. The first commercial enterprises on the Moon and elsewhere will have to establish off-Earth legal systems. Tell us what you think. Is Moon mining pie-in-the-sky or more likely than not? What are the prime obstacles to making it a reality? Is there any reason we shouldn’t mine the Moon?